Please check my upcoming events page for updates to these and other events – sometimes new events are added at the last minute, or details can change. – subscribe to this blog via the little box on the right; you’ll get each post emailed to you. – sign up for my free newsletter, The James Foley-o, and get all my news and events in a single quarterly email. I’m doing a free mini-workshop this school holidays! 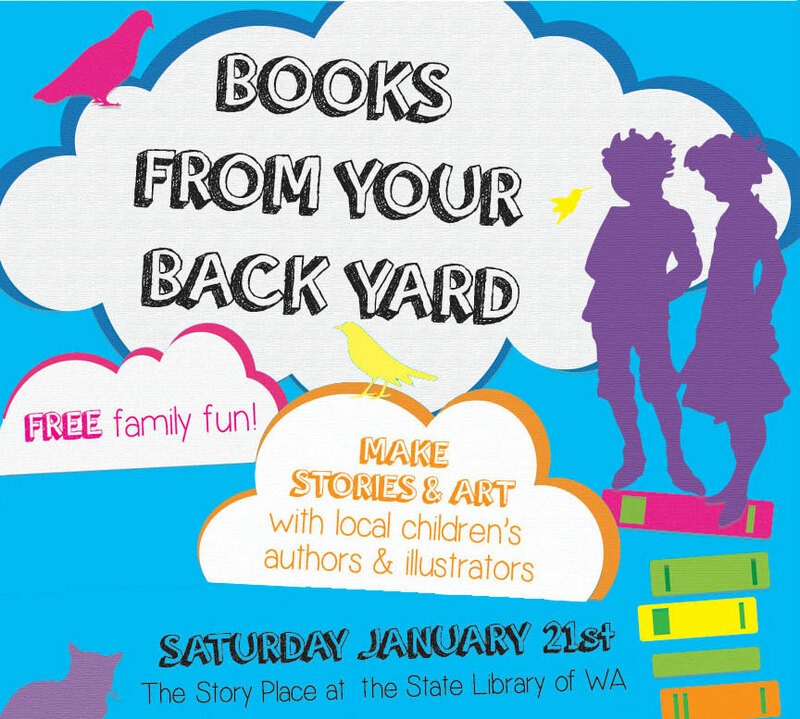 Come to ‘Books From Your Backyard’ at the State Library of WA. I’ll be there along with 9 other local authors and illustrators – Frané Lessac, Gabriel Evans, Kelly Canby, Teena Raffa-Mulligan, Bec J. Smith, Cris Burne, Aska, Elaine Forrestal, Dianne Wolfer and Norman Jorgensen. We’re each hosting a little session, giving readings, and running fun activities for kids. And it’s all FREEEEEEE. My session is from 3-3:25pm, after which I’ll be signing copies of my latest book Brobot.